MinneMooney had the most liked content! Andy, have you been running these for long? I was thinking about switching to them too if I can get a deal at EAA. Yes, I am a member. I am really looking forward to this work party since September was the last one I attended. I was at the Weeks hangar in January, but that was to pickup the M20C I just purchased from EAA. Hopefully we can meet at Airventure. Maybe at Chapter 237’s campsite. I am off to KOSH this week to volunteer on and hopefully help wrap up the restoration of EAA B-25H Berlin Express. It’s been a great experience to be a small part of. Look for it at Airventure this July. It’s important to preserve this history before it’s all gone! https://sportaviation.epubxp.com/i/825426-jun-2017/71?m4= Here is her story, if you’re interested. Yes, you can see the level in the fuel tank dropping fast! I think Goo Gone is actually a much less flammable mixture of petroleum distillates and d-limonene (orange oil). I’m sure xylene would work, but it is a flammable liquid, so take appropriate precautions if using it. Alan, I have a Garmin 430 non-waas. How much to swap for a 430W? I had the same problem with my ‘65C when I first acquired it. I sprayed some lubricant onto the handle of the Johnson bar and it hasn’t given me any more problems. 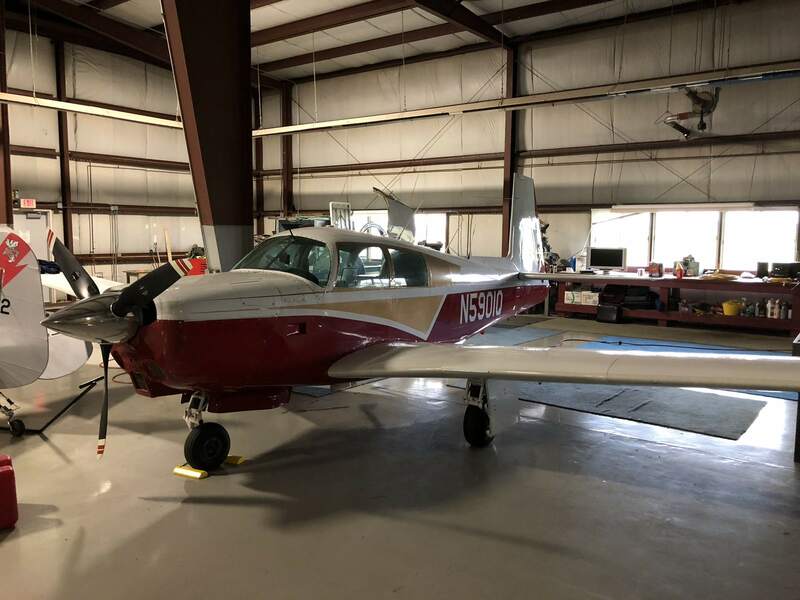 I purchased my ‘65 C Mooney on 1/16/19 and received my registration card last week. Have you looked at the FAA website to see if the registration has been updated? Dailey Aviation rebuilt the system on my ‘65C before I purchased it. It looks like new. Here’s a picture of N456RW. She shares the hangar with N5901Q for now. Apologies if I’m causing this thread to wander off-topic. My ‘65 C has a clear protective plastic on the leading edges of the wings and tail surfaces. Put on by the previous owner. Not sure where it came from. I had an Appareo ESG installed in my Cessna 140 about 2 years ago. I’m under the MSP Class B airspace. It took 3 different flights for me to get a passing test result. I flew outside of Class B airspace but within the 30 mile “mode C” veil. They did offer a free AXP322 the last time I looked at their ad. Not now. Does anyone know, did this deal end already? I guess didn’t say that very well. What I meant was that you can write either Jeppesen’s or Garmin’s data to the same card.